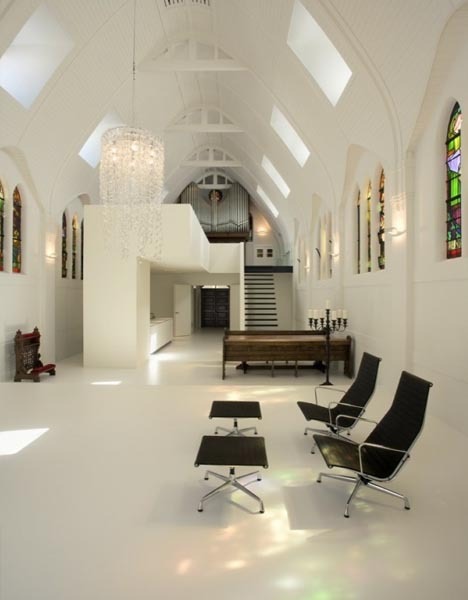 The ‘living church’ was nominated for a Dutch design award in 2008. 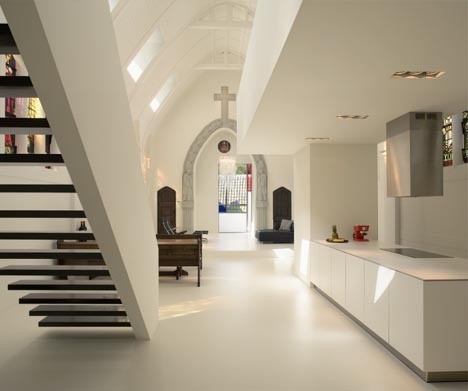 It has a stark minimalist feel that the designers have achieved by limiting details right down to the bare essentials. 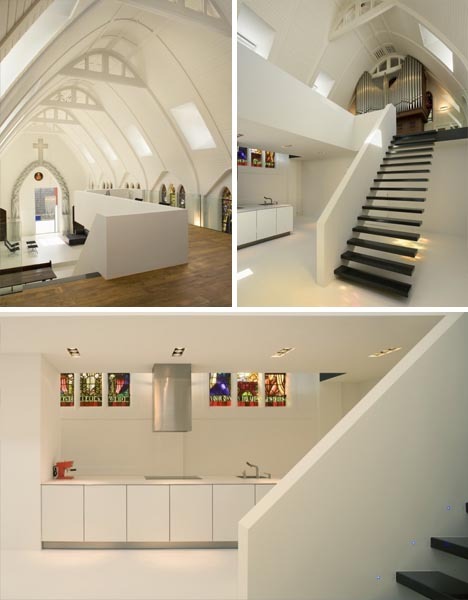 Sharp lines within the open plan design complimented with silver, black and white tones lead the eye through the building and help further open the space.